Steve and I dreamed up the idea of offering some locally sourced dishes at our restaurant almost a year ago. While we were excited by the idea, we were also challenged in two big ways. How would we find the time and inspiration to create dishes using only seasonal and local ingredients? How could we create specials that would work with the current operational flow of our busy fast casual restaurant (where all items are grilled, fried or sent through the impingement oven to order)? We decided that instead of trying to move the entire restaurant’s menu to locally sourced offerings we would introduce them weekly through a FarmerChef specials. For information check out our FarmerChef page. A perfect solution to our challenges was temporarily living under our roof. Francine, our daughter, as you dear readers know, has now moved to England, but she was staying with us for awhile. 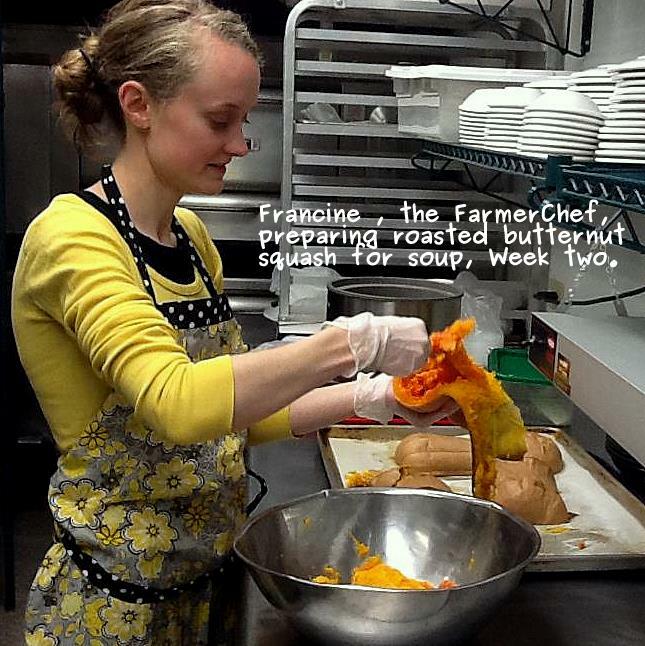 She is inventive and creative in the kitchen so it was natural for her to become a FarmerChef. She researched and came up with some great ideas for what to do with ingredients that we had sourced locally. Since she left on April 8th, we’ve been stumbling a bit. The food and photography has not been as inspiring as the work she was doing for us. But we’ve been persistent and we will continue to learn and improve. Here is an update on how we’ve continued with our little food service experiment. 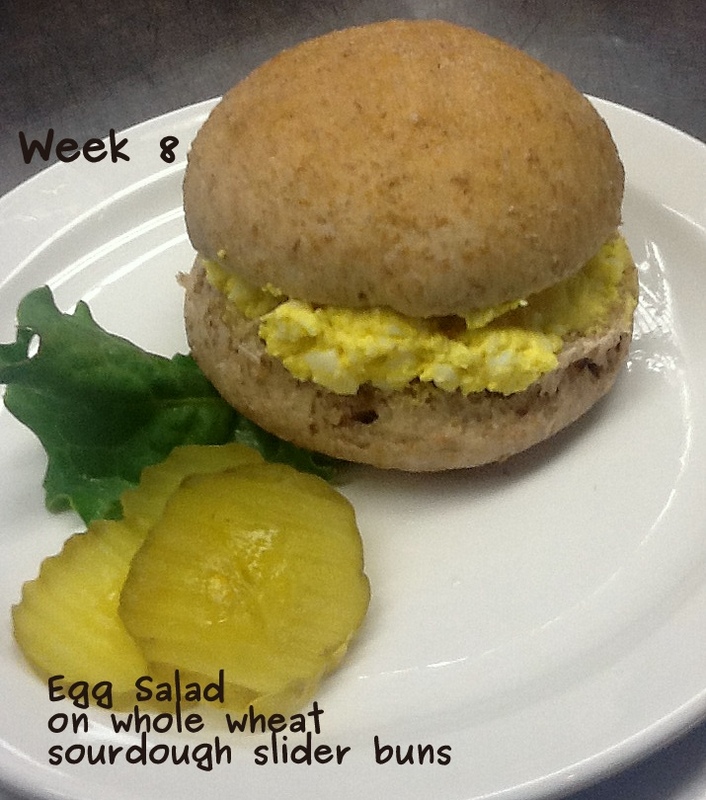 We made Egg Salad on Whole Wheat Sourdough Sliders with local greens. This sold well and tasted great, but as you can see from the picture it looks a little boring. Warm Italian Pasta (Gnocchi) Salad….the food idea didn’t work for our kitchen and it wasn’t very healthy. We tried to deep fry the gnocchi and it tasted great right out of the fryer, but it didn’t hold up. We sold two servings, but no one raved about this dish. 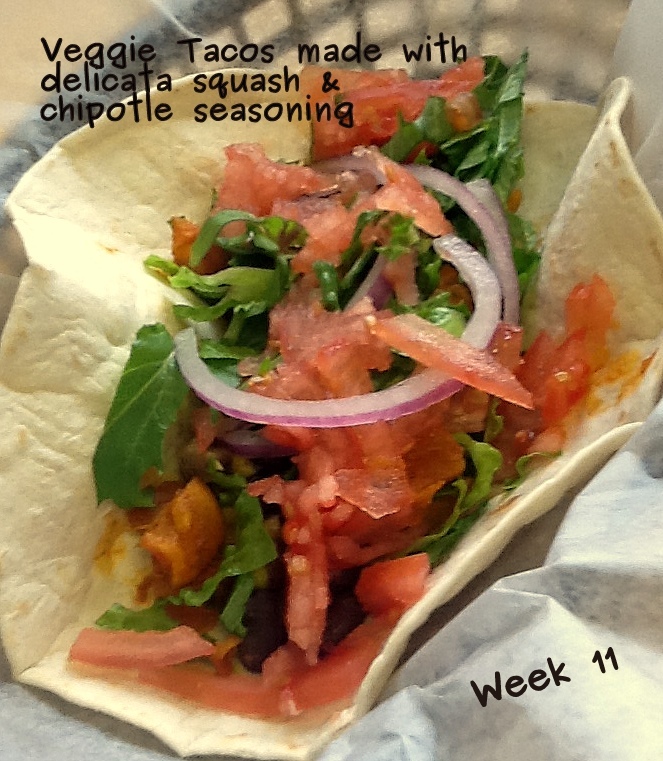 Veggie Tacos..these were great! It’s definitely a recipe worth revisiting. This recipe by Cadry’s Kitchen inspired us.